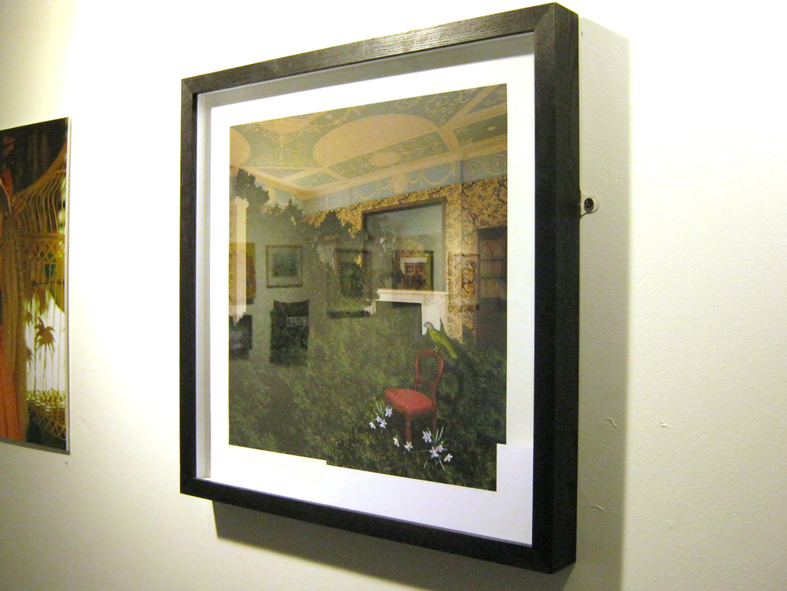 This image, 50 x 50 cms framed was made for the exhibition Ghosts of Gone Birds, Each artist was given a bird that is now extinct to make into a work. 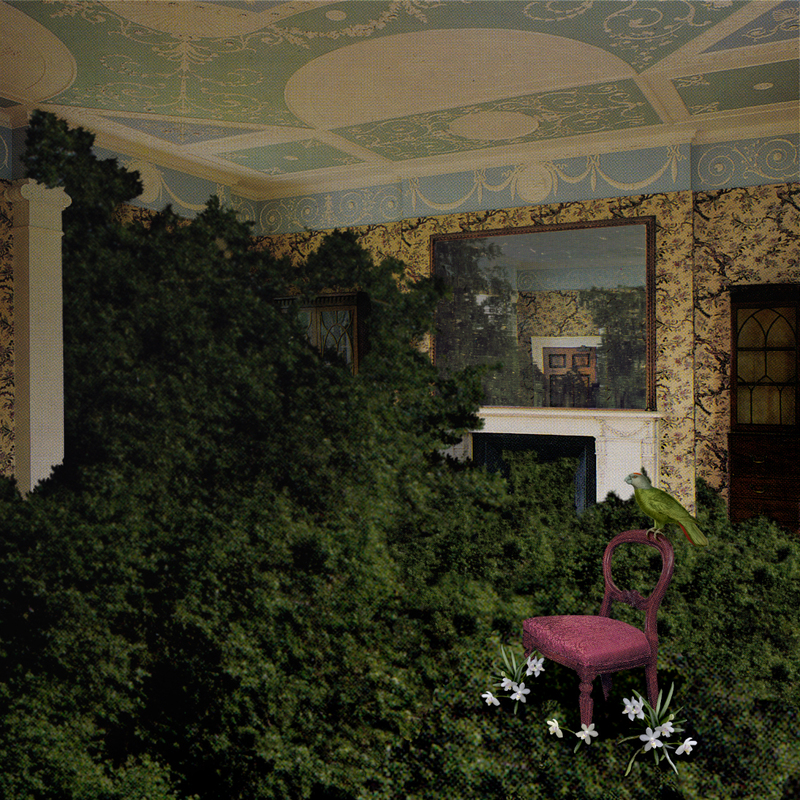 The minute I saw the upstairs room at Pitzhanger Manor Ealing, I wanted to make an image as if the room was being menaced by vegetation, that a romantic vision of nature slowly creeping into a ruined house might go wrong. Trees might burst through windows to claim back their own. The extinct bird, a trophy from colonial wandering has comeback to life and is going to return home via this river of vegetation and abundance. Pitzhaner Manor was built by the architect Sir John Soane as a rural family retreat. A man who saw ruins as an expression of his own creativity un shackelded, built in the grounds of his house a series of pillers and claimed that they were uncovered when the foundations were dug. A digital inkjet print that has been cut into 3 layers. There was a scenic approach to architecture and decoration before Soane. 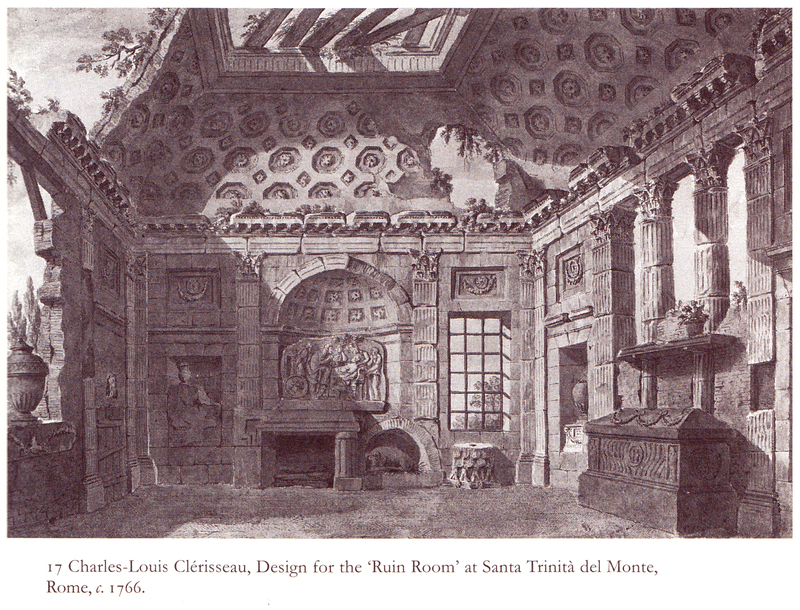 A battered roman ruin was built as a room within a monastery in Rome, by Clérisseau, illustrated below from Roy Harbisons book Reflections on Baroque 2000 (page 45). 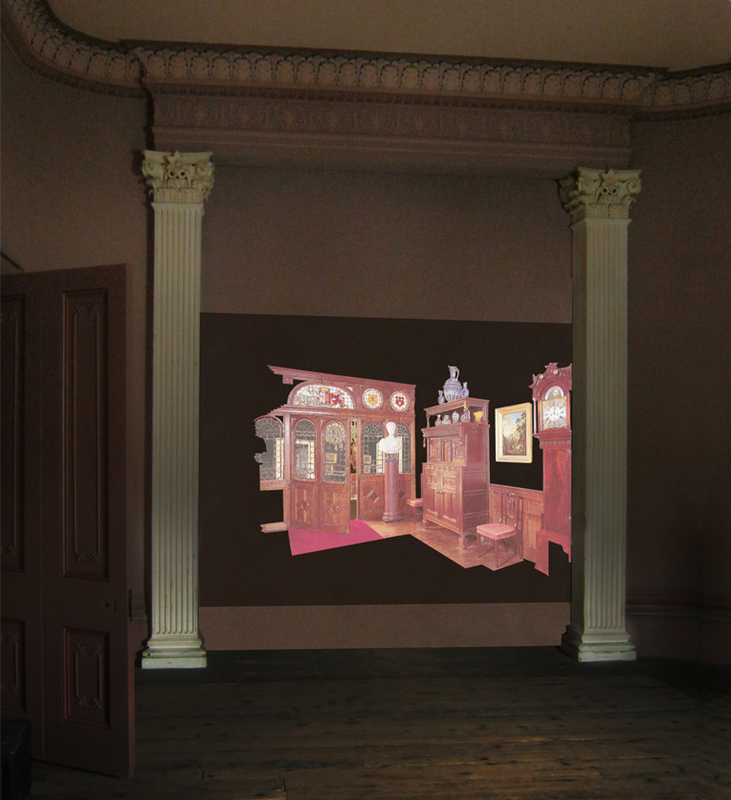 An animated walk through a fictional stately home. Each room leads impossibly to another and seems to have been left in readiness by invisible human occupants. The only visible signs of life are the birds who carry on their tasks. We hear sounds of humans, ghostly remnants or simultaneous occupants. The birds do the same thing over and over as do we, the viewer also stuck in the space, unable to escape. Its possible that the birds have always been there, and the humans accidentally enclosed them when the house was built. This film also has accompanying prints made as three dimensional objects, various aspects of the image occupying different planes within each frame.